Learning how to play a game of Blackjack is crucial if you want to win real money at an online Casino. 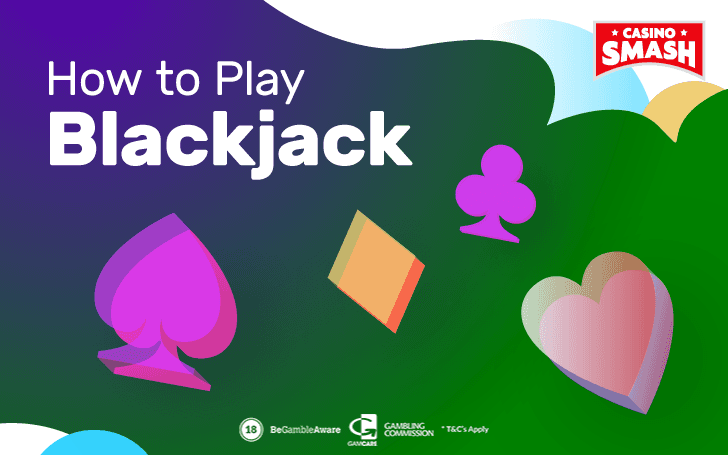 Not only Blackjack is one of the simplest games to learn, but it is also the one that gives you the best chances to beat the house and bring home some cash. This guide tells you how to play Blackjack perfectly and how to take the right decisions every time you decide to bet your chips on the two cards the dealer puts in front of you. This is a beginner's guide to Blackjack. This page has everything you need to get started and win your first game of Blackjack. Here you learn how to play Blackjack at an online Casino, how to read the cards on the table, and how to practice online blackjack for free. If you know how to play Blackjack and you don't need help to figure out the rules of this exciting Casino game (including to know when to hit or stay), just head to the "how to play live Blackjack" section of this article. You'll learn how to play live dealer Blackjack games with the largest bonus available for Indian players. The basics of Blackjack are really simple, and you won't need more than five minutes to learn how Blackjack works. Blackjack is a high paced, attractive card game, and one of the most thrilling casino games that you can find. Knowing the rules of Blackjack won't make you a Blackjack pro but it's the very first step you need to take if you really intend to win money at the Casino. Of course, you need a bit of practice to achieve some profit at a Casino playing Blackjack. There are several exciting Blackjack strategies that can give you a slight edge over the dealer. Be aware that Blackjack is - like all Casino games - a game of chance where the Casino has an advantage over the player. Blackjack is a solitary battle between you and the Dealer. You don't play against (or with) the other players at the table: The action is only between the Dealer and you. In case you know nothing about Blackjack, this game is also referred to as 21. The reason people call Blackjack 21 (and that happens all over the world, not just in India) is that your goal as a player is to reach 21 points. Or to get the closest you can to 21. Keep in mind that your hand should never exceed 21 since this kicks you out of the game automatically. The roots of this interesting casino game go back to the 18th century in France, where this game was initially called Vingt-et-Un (which is French for ''21'). The game of Blackjack became extremely popular in Europe during World War I (WWI). Since then, it is one of the most played casino games worldwide. As we already said, you play the game of Blackjack against the dealer in a casino. The game uses standard 52-card decks. But don’t expect Casinos to make things easy for you and use just one deck of cards - they usually use several decks that are shuffled together. Most of the times, a game of Blackjack uses six decks of cards, meaning there are going to be 312 cards in the card shoe next to the dealer. At the bottom of the deck, there is a blank plastic card that indicates when the cards need to be re-shuffled. Counting the score is rather easy. All the cards in the deck between 2 and 9 count at face value. So 2 counts as 2 points, 3 count as 3 points, and so on. The 10 card and all the other face cards (J, Q, K) count as 10 points. The Ace card can count either 1 or 11 points. The value of the hand is decided by the player aka. you. 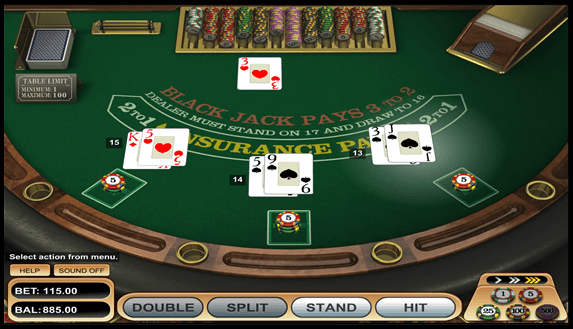 Blackjack is played on a semi-circular table. A hand of Blackjack can involve a maximum of seven players. The dealer stands behind the table on the opposite side of all the other players. If you play Blackjack at a brick-and-mortar Casino, you can either sit or stand – you’ll be in the game for as long as your Casino chips are on the Blackjack table. Once you decide it is time to play a game of Blackjack, you need to buy some chips and to sit at the table. After you pick your spot, you need to place a wager – an initial bet that declares that you have entered the game. On most online Casinos, Blackjack bets start at $1 or $5. This amount can go a lot higher, provided you have the bankroll to finance a seat at the high rollers tables. When all the bets are placed, the dealer will deal two cards to each of the players in the hand. The dealer will deal the cards clockwise giving one card to each player and one card to the dealer. All the cards dealt to the players are face up, while the first card dealt to the dealer is face down. In the second dealing round, the process will be the same with the only difference being that the second card dealt to the dealer will be face up. Once when the card-dealing part concludes, you need to count your score and to decide what to do next. In a perfect world, you get a ten-value card and an ace – meaning you have a Blackjack. When this happens, you will get paid x1.5 of your initial wager. (E.g. You bet $100, you get $150). Unfortunately, that doesn’t happen as often as you’d like. Most of the times, you will get some other cards with your scores ranging between a minimum of 4 points (2-2) to a maximum of 21 points. The Tie in Blackjack: If both the player and the dealer get Blackjack (21), the player will not win anything. He will not lose anything either. This situation is called a 'push' – a term that indicates that the hand ends on a tie and the player just get back his initial wager. STAND: You are satisfied with your cards and you don’t want any more cards. The hand signal for this action is to move your hand sideways. HIT: You want to be dealt more cards to improve your total score. You can call this action several times until you get a satisfactory result… or your total score goes over 21 points. When this happens - you are out of that game. The hand signal for this action is to tap your finger on the table. SPLIT: You received two cards of the same value (e.g. 4-4) and you now have the option to make a second wager. When you choose to do so, the dealer splits your two cards into two separate hands and deals two new cards. At this point, you have two new Blackjack hands to play. The hand signal for this action is to put down the same amount of your initial bet on the table and make a 'peace sign' (V) with your fingers. DOUBLE DOWN: If your hand looks promising and you need one additional card, you can make this call. With this call, you will double your initial wager and ask for one more card from the dealer. The hand signal for this action is to put the additional wager on the left side of your original wager. SURRENDER: if you don’t think that your initial deal is good enough to progress further, you can surrender and save half of your initial stake. The hand signal for this action is to draw the line on the table with your finger. BE CAREFUL! : This hand signal is similar with HIT signal, so it is wise to say out loud to the dealer SURRENDER before you make the hand gesture. 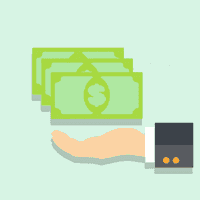 INSURANCE: When dealer’s open card is an Ace, all the players have the option to create an insurance wager. With that wager, the players bet that dealer’s second card is a ten-value card. This special Blackjack side bet pays 2x. Unlike the players, the dealer doesn’t have any playing options. However, there are strict rules on how the dealer will act on his hands. The dealer must draw cards if his score is below 17 points. Likewise, the dealer stands if the score is of 17 points or more. 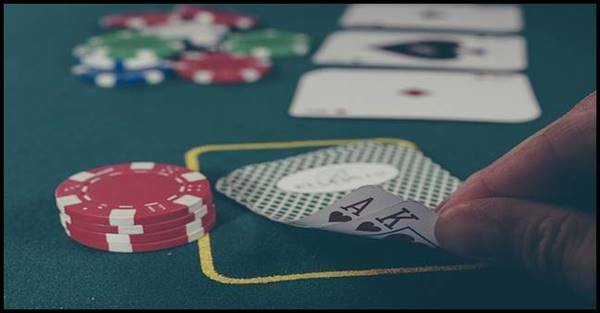 When all the decisions are made and bets are settled, the dealer will collect the cards and pay eventual winnings to the players. Then, a new hand of Blackjack begins. No bullet-proof Blackjack strategy will help you "break the bank" in the Casino. Your only chance to have a real advantage over the dealer is to follow some basic Blackjack strategy tips. So - are you ready to learn the proven Blackjack strategy that can help you win? If the dealer’s open card is a 7 (or higher), you should hit until you have a total of 17 or more. If the dealer has a weak open card (4, 5, or 6), you should stop drawing new cards as soon as you reach a total score of 12 or more. This basic Blackjack strategy helps you not go bust often and maximises your winning chances when you play Blackjack online and live. Card Counting in Blackjack is not illegal but is not allowed in Casinos. Through this particular and proven Blackjack strategy, you can calculate the probability of future draws by keeping count of all the high and low cards that were drawn in all the previous hands. For more information about this Blackjack technique, read this guide to card counting in Blackjack. Overall, Blackjack is one pretty simple and fun casino game that can give you hours of entertainment. It is vital always to bet reasonably and to stop when you feel tired, or when you lose your discipline. Now that you know how to play Blackjack and how to evaluate the strength of your hand, it's time for you to practice Blackjack online on one of the best Blackjack sites in India. As an Indian player, you can play your free and real money Blackjack games online at Betway, one of the best online Casinos in the world. Enter the Betway Lounge to enjoy their live dealer games of Blackjack and chat with other players to share tips and strategies to win. If you don't have an account at Betway yet, you need to register a free one to access the games. Register here to play online Blackjack in India and receive up to £1,000 in free money to play. You get the free bonus money on your two first deposits (2x 100% match bonus for up to £250 + 1x 100% match bonus for up yo £500) of £20 or more. Please note that this promotion is available only if you use credit cards, debit cards, or PayPal as your deposit method.